Well then, your search comes to an end. You’ve found help. 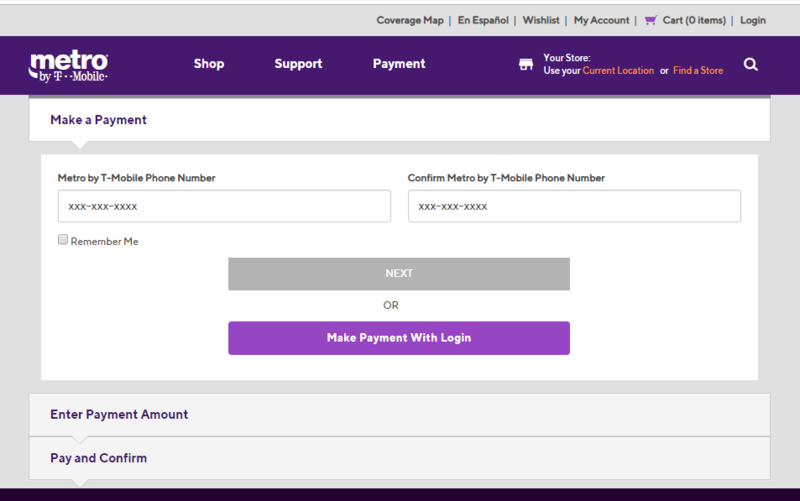 In this article, we will let you know how to pay bills on MetroPCS. This article is dedicated to those who find it difficult to pay their bills, especially for the first time. Usually, all it takes is one-time guidance to get used to it. First things first, to pay your bills online you will need a few things and details. Then you will have to follow our instructions to access the website and pay bills. We will let you know how you can process your payment and pay for your bills. Let’s start with the things and details required first. Below is a list of things and details that you will need during the process of paying your bills. Then you have to visit the official site of Metro PCS. The web address for which is www.metropcs.com. Here you have to click on the ‘Payment’ option found in the top column. After clicking on the option you will land in the below page. To start with, first, you have to enter the Metro™ by T-Mobile Phone number. After confirming it, click on next and you will land in the bill payment portal. All your bills will be displayed here. You have to select the bill and you can carry out the payment using the payment method of your choice. You can also pay your bills by logging into your account. Follow the below instructions to do so. In the above process, you have to click on ‘Make Payment With Login’ and you will land in the below page. 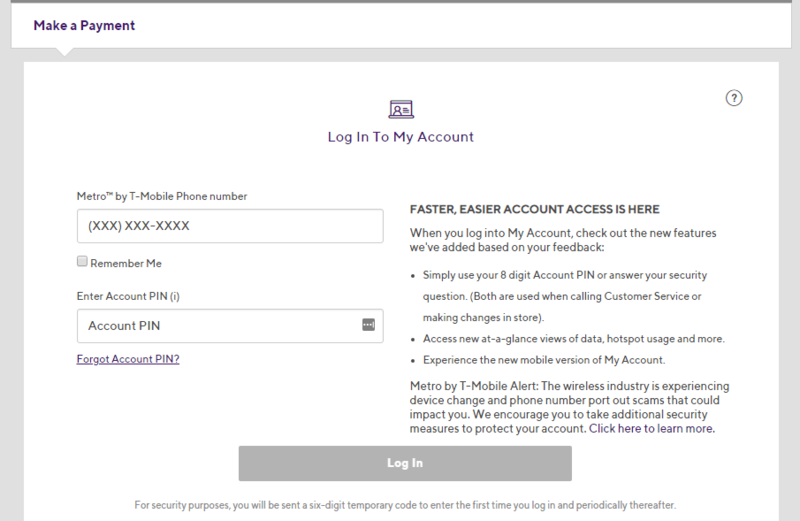 Then you have to enter your account pin and click on ‘Log In’. After clicking on ‘Log In’ you will land in your account where your bills will be displayed here. You have to select the bill and you can carry out the payment using the payment method of your choice. Well then, our article also comes to an end. To sum up, we leave you with the hope that our article helped you pay for your bills. Do let us know your view about our article by writing in the comments section below. We look forward to the next time to help you out. Thank you for your time. Peace.